PHOENIX, Ariz. — The national law firm of Quarles & Brady LLP is pleased to announce that Timothy E. Clements and Jason F. Wood have joined the firm's Phoenix office serving as Of Counsel in its Real Estate Practice Group. Tim and Jason both focus their practice on real estate, banking, and business law matters. 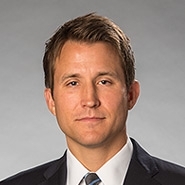 In connection with his practice, Tim counsels his clients regarding acquisitions and dispositions of all types, joint ventures, construction matters, CC&Rs, real estate secured lending, commercial leasing, corporate mergers and acquisitions, asset and stock sales, and entity selection, formation, and governance. Tim represents individuals, private entities, and public companies, including developers, homebuilders, investors, lenders, borrowers, landlords, tenants, and business owners. Tim received his law degree from the Sandra Day O'Connor College of Law at Arizona State University and his bachelor's degree from Santa Clara University. Tim has achieved an AV® Preeminent™ Rating by the Martindale-Hubbell Peer Review Ratings system, which connotes the highest possible rating in both legal ability and ethical standards. Jason has significant experience in forming joint ventures, commercial leasing, acquisitions and dispositions, sale leaseback transactions, real estate secured lending, development and redevelopment projects, corporate mergers and acquisitions, construction contracts, condominium and mixed-use CC&Rs, and COREAs. He has assisted his clients in acquiring, financing, developing, restructuring, selling, and leasing shopping centers, automotive dealerships, office buildings, hotels, industrial parks, apartment complexes, and raw land, among others. Jason received his law degree from the University of Texas School of Law and his bachelor's degree from the University of Arizona. Jason has achieved an AV® Preeminent™ Rating by the Martindale-Hubbell Peer Review Ratings system, which connotes the highest possible rating in both legal ability and ethical standards.